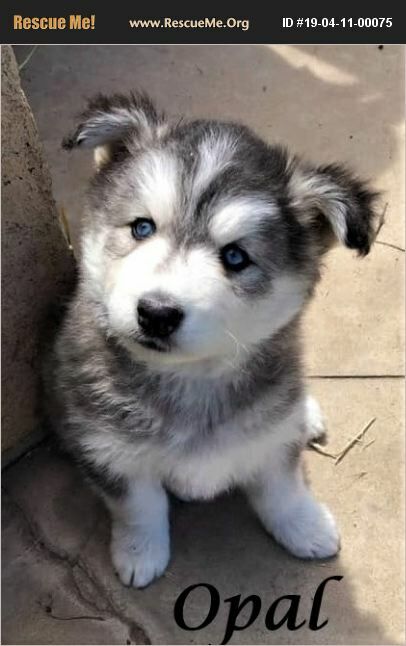 Opal is a 6 week old Female Siberian Husky. She was a owner surrender and will need her first round of puppy shots at 8 weeks old and will not be going to her new home until then. Her adopter MUST have Past Experience & Knowledge with this Breed!!! She will only be Adopted to KNOWLEDGEABLE Adopters Only!! Opal is good with kids, adults, other dogs, has not been around cats!!! She will be Spayed, Micro-Chipped, & Rabies at around 6-8 months. Opal is looking for her Forever Home!! !